The Paris manslaughter on 13th November 2015 is another potent call of action for the International Community to scale up its fight against terrorism. The asymmetric warfare strategy of terrorism poses difficult challenges for Western nations. Surveillance is one of the main weapons to counter the tactics of armed suicide commandos and bombing attacks. The goal is to preclude elusive threats that often blow with utmost violence in the most unexpected manner, time and place. Since 9/11, air travel increased security has become a nuisance for most passengers. And the downing of the Metrojet Russian plane over Egypt’s Sinai, on the 31st October 2015, shows that airport surveillance still needs to be beefed up. Arguably, the worst trade-off of increased surveillance is the gradual loss of an individual’s reasonable expectation of privacy. This poses serious questions in democratic nations, but ultimately, increased surveillance is the lesser evil in the war against terrorism. Video surveillance (usually through Closed Circuit TV, i.e., CCTV and IP cameras) and communications monitoring (especially over telephony and the Internet) are surely areas that deserve better attention. This is where Big Data Analytics and IoT come to play. Video and communications surveillance latest advances include better mechanical, optical and electronics. 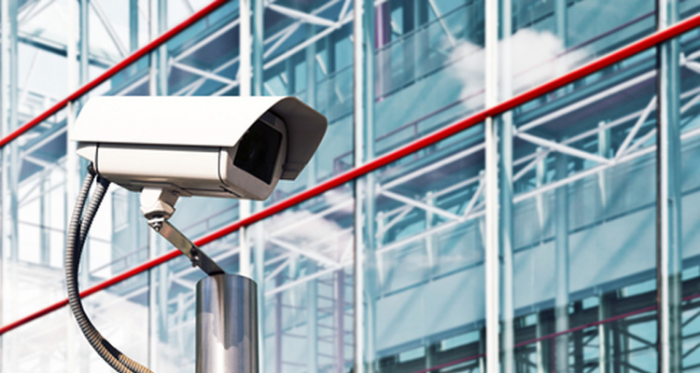 Ever increasing higher-definition security video cameras produce sharper images and growing levels of detail that are crucial for identification purposes. The numbers of video cameras (recent models can be so small that you hardly notice them), microphones and other capture devices for surveillance purposes are multiplying at an incredible rate, overall generating an exploding amount of data. Altogether with the increasing integration between networks of public and private security monitoring, including the recent advent of private car video and body-worn video, surveillance is being raised to new heights. A crucial element in this field is the development of video content analysis (VCA) software. Crunching terabytes of data collected by cameras, new algorithms for image analysis are perfecting identification tasks, notably of human faces (facial recognition systems). These new analytic video tracking technologies are advancing quickly, featuring multi-person tracking capabilities and dynamic imagery analysis which means, for instance, the ability of the software to identify, through tri-dimensional techniques, each individual within a mob on the move. This is a field still in its infancy but is progressing fast. Consequently, more and more big data generated worldwide by surveillance devices are turning into huge resources for predictive analytics. Predictive analytics captures relationships between explanatory (or independent) variables and the predicted variables from past occurrences to build data patterns in order to predict unknown outcomes. Applied to mined surveillance data, predictive analytics can forecast behaviour of individuals based on the analysis of multiple patterns of similar past events. New software is being increasingly developed to build models for fully-automated semantic-tagging of surveillance video recordings based on multiple human presence detection and abnormal activities recognition. Other models are being developed for automatic sorting of video and communications to detect aggressive human behaviour, public areas in particular. The influx of mined data in this regard, and the continuous development of new algorithms to crunch it, will increasingly provide predictive analytics with exceptional tools for building possible scenarios of violent activities. This opens up new avenues for surveillance, notably for prescriptive analytics for threat prevention. Investing in surveillance is more than ever the right decision to counter terrorism and other types of crime. If some years ago a number of critics would say that video surveillance in public areas was not really effective to counter crime (according to reports on CCTV programmes, such as in London in the 1990s and 2000s), nowadays, thanks to Big Data, the IoT and predictive/prescriptive analytics, things have changed. Major companies producing video security systems are increasingly partnering with software firms to develop video content analysis for prediction purposes. Robotics recent developments, especially in terms of improved digital vision and the ability of machines to read the environment through several imaging sensors (humans only have two eyes) and to learn from mistakes, means that artificial intelligence will gradually replace humans in tasks such as video and communications monitoring. Humans are prone to vision fatigue when looking at video displays for long periods of time. Machines are not. In sum, surveillance, especially automated security monitoring, is a promising and fast-growing field, which will surely make life harder for terrorism and all other sorts of violent illicit activities. The world may soon become a safer place.